Hangzhou Bay Bridge is a highway bridge with a cable-stayed portion across Hangzhou Bay in the eastern coastal region of China. It connects the municipalities of Jiaxing and Ningbo in Zhejiang province. The bridge was opened to public May 1, 2008. 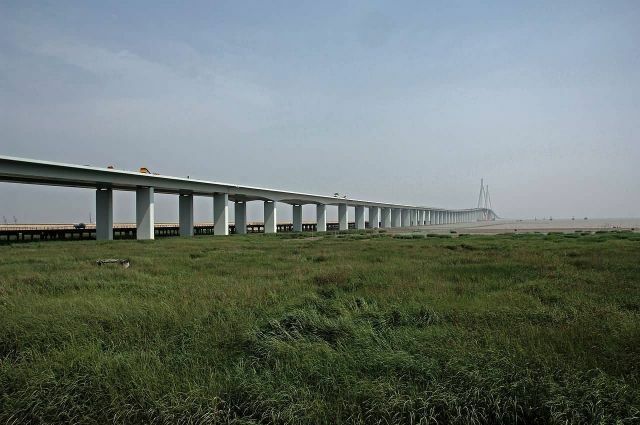 The bridge shortened the highway travel distance between Ningbo and Shanghai from 400 km to 180 km and reduced travel time from 4 to 2 hours.